Director and writer of French cinema born in Paris (France) on December 3, 1930. Born in a bourgeois family (his father was a Protestant doctor and his mother was the daughter of bankers), began his studies in Switzerland to continue them in the Parisian Lycée Buffon and studying then at the Sorbonne of Ethnology, which ended in 1949. Cinema upset le since its entry in the University, and so decided to attend centres which matured young moviegoers at the end of the 1940s. The Cinémathèque Française and several film-clubs of the time were centers especially frequented and where contacted other youngsters of his generation that soon gathered around the magazine La Gazette du Cinéma. His first steps were, such as Truffaut, Rohmer and Rivette, film critic. In the mid-1950s, he/she had to go to Switzerland, where he/she worked at several trades that enabled him to raise enough money to produce his first short film, Operation Beton (1954), on the construction of a dam where he/she worked as a laborer. He/She returned to Paris and continued his criticism at Cahiers du Cinema, the magazine that had been founded by his friend André Bazin, among others,. Successive short films enabled him to master the craft of writing and direction, always with the collaboration of his magazine colleagues, that had participated in other films as an actor. His first feature film came fully into the guidelines set by the Nouvelle Vague, and combined a certain tone of freshness with the formulas already consolidated by American cinema, which proved to be a great admirer. At the end of the getaway (1959) speaks of the ephemeral that is life and, therefore, of the necessity of living a day. The strength of the history (with Jean-Paul Belmondo and Jean Seberg) is built on a certain narrative, agile, freshness that encourages the Viewer to a different look that takes you through ways known but who surprised him by the momentum of the images. Godard penetrates the characters with toughness, a position that remained in his later works. The challenge of renewal, the criticism more conservative models of French cinema, for Godard was having the conviction that their attitude entailed a professional risk that should assume. Thus he/she understood it and defended throughout his life, clinging to a creative breakthrough that made him the only reference to assume the principles of the Nouvelle Vague, in one of the most crucial historical moments for the French and European cinema. Godard made a commitment with his experiences, with life, with the society that surrounded him at every moment. He/She built pillars more or less recognizable stories and alternated in the same everything that gave a more credible dimension to the story. It showed that every day offers many solid arguments to stop look and reflect: men and women appearing in his films will serve to dissect political, social, anthropological, Semiologic, religious, etc. It is as well as it evolves from the soldier (1960), one of her looks to war, until La chinoise (1967), approaching the ideologized youth, and I salute you, María (1985), where checks a moment in the history of man, of his own work as a film director, causing confusion and demonstrating that in his creative life has swum against the current significant and controversial issues from the moral and aesthetic point of view. The freedom which has worked with Godard has its starting point in the view theoretical that had when he/she wrote the analysis of foreign directors who fascinated him in his youth, or when he/she wrote his introduction to a true history of film (1980) and when, finally, opted for the series Histoire (s) du Cinéma (1998), which delved into his analysis of the film from a broad and diverse perspective that lets you know how has been the audiovisual culture that has fueled several generations throughout the 20th century. Godard is the example clearer than director who lived for the cinema, for the audiovisual world, and who wanted to adopt all the technology that was available (TV and video) and adapt it to their expressive needs. Got it knowing that it would be reviled by many viewers and ignored by others. Still remained true to its principles: a maverick who was not left trapped by the conventions of an industry that only produces according to a capitalist idea that destroys art, the excellence of the communication, and that avoids the slightest mental exercise. Undoubtedly, the work of Godard was the result of a process of intellectual maturity of an active militant who attempted to audiovisual works that came out of his hands at all times to serve to disturb the minds of those who visionaban them. The young rebel who sought to break the form of a classic film happened, after the Parisian May 1968 cultural experiences, much more worried about the content of their stories, which have revolved around the fragmentation (close-ups, new ideas about space and time) or the absolute continuity (long planes, well of contemplation and follow-up)converging many times in situations posed by visually with aggressive results for the sight and hearing of all viewers more inclined for a linear reading of history. From any point of view, the film by Godard (Vivre sa vie, 1962;) A married woman, 1964; Week - end, 1967) does not go unnoticed from the simplest contemplation: its audiovisual writing wants to deepen in the unlikely (a confusion between reality and fiction dominated his whole oeuvre, as attest that their wives are the protagonists of their stories: Anna Karina and Anne Wiazemsky), exercise that requires a minimum linguistic resources domain to access the inside of the historythe characters and the director. In 2010 he/she premiered his new film, Film socialisme, six years after our music (2004). That same year, the Academy of Hollywood was awarded the honorary Óscar. 1954: Operation Beton. 1955: Une femme coquette. 1957: Tous les Garçons s' s'appellent Patrick. 1958: Charlote are Jules; Une histoire d'eau (Co-Director). 1959: at the end of the break. 1960: The soldier. 1961: The paresse (episode of Les sept peches capitaux); An efemme est une femme. 1962: The new world (episode of Rogopag; Co-Director); Vivre sa vie. 1963: The police; Montparnasse-Levallois (episode of Paris seen by...; co-director); Le grand escroc (episode of the world's most famous scams; Co-Director); The contempt. 1964: Band apart; A married woman. 1965: Lemmy against Alphaville; Pierrot the mad. 1966: Masculin féminin; Made in USA; Anticipation (episode of the oldest profession in the world; Co-Director); L'Enfant prodigue (episode of Vangelo 70s; Co-Director); Deux trios ou coses that sais d'elle je. 1967: La chinoise; Week-end. 1968: One plus one; Loin du Viet Nam; Le gai savoir. 1972: All goes well; A letter to Jane (documentary; co-director). 1975: Numero deux. 1976: Ici et ailleurs; Comment Ça va? 1979: La vie. 1981: Read to Freddy Buache. 1982: Passion. 1983: Prénom: Carmen. 1985: I salute you María; Detective. 1986: Soft and Hard; Meeting Woody Allen. 1987: Soigne ta droite; ARIA; King Lear. 1988: On s'est tous defile; Le dernier mot; Puissance de la parole. 1989: Le rapport darty. 1990: Nouvelle vague; Comment vont les enfants. 1991: Allemagne neuf zero; Contre l'oubli. 1993: Helas pour moi; Les enfants jouent à la Russie. 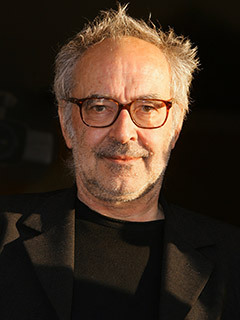 1995: JLG-autoportrait de décembre; Deux fois cinquante ans de Cinéma Français. 1996: Forever Mozart. 1998: The old place. 1999: Praise of love. 2000: L'origine du XXIème siècle. 2001: In praise of love. 2002: Liberté et patrie. 2004: Our music. 2006: Live your life (Vivre sa vie). 2008: Une catastrophe. 2010: Film socialisme. 1968: A film comme les autres; An american movie. 1969: British Sounds; Pravda; They see d'est; Lotte in Italy. 1970: L'amour; Vladimir et rosa; Jusqu' to victory. 1976: Six fois deux/Sur et sous (serial) communication. 1977: France/tout/détour/deux/enfants (series). 1984: series noire (series). 1986: Grandeur et décadence. 1988: Les Français vus par... 1989: Histoire (s) du Cinéma (chapters: Touts histories les.) Une histoire seule). 1998: Histoire (s) du Cinéma (chapters: Une novelle vague.) Seoul le cinéma. Signes les parmi nous. Le Contrôle de l'univers. The monnaie de l'absolu. Fatale Beauté). 1950: Quadrille (and producer). 1951: Presentation. 1956: Le coup du Berger. 1961: Les fiancés du pont Macdonald. 1963: The Directors. 1964: Paparazzi; Petit jour. 1958: Paris nous appartient. 1959: The sign of the lion. 1961: Cléo from 5 to 7; Le soleil dans l'oleil. 1962: Sheherazade. 1966: The deserter. 1956: The sonate da Kreutzer (producer). 1961: Lola (producer). 1964: Statues (comments). 1965: Le pere Noel to les yeux bleus (producer); Du Côté de Robinson (producer). Arevalo, M. J. and others: Jean-Luc Godard. Madrid: JC, 1981. FONT, Ramon (ed. ): Jean-Luc Godard and the Dziga Vertov group: a new political film. Barcelona: Anagrama, 1976. FRASSINO, a.: Jean-Luc Godard. Florence: The Nuova Italy, 1974. GODARD, Jean-Luc: À bout de souffle. Vivre sa vie. Une femme marie. Deux ou trios choses that je is d'elle. The chinoise. Madrid: Alianza, 1973. GODARD, Jean-Luc: Introduction to a true history of the cinema. Madrid: Alphaville, 1980. GUBERN, Roman: Controversial Godard. Barcelona: Tusquets Editor, 1969. LIANDRAT-GUIGUES, S.: Jean-Luc Godard. Madrid: Cátedra, 1994. SICLIER, Jacques: The new wave. Madrid: Rialp, 1962. VIANEY, M.: Waiting for Godard. Madrid: Fundamentals, 1972.